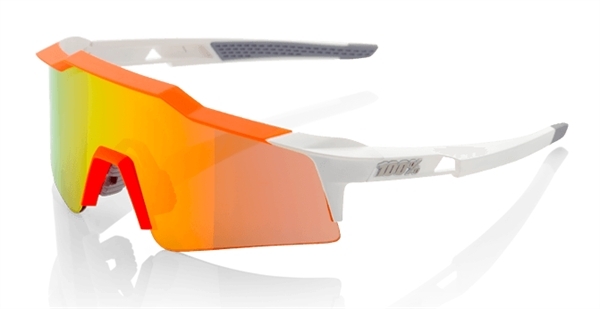 Product information "100% Speedcraft Sport Sunglasses (SL) - mirror lens - orange"
Our passion for infusing the latest technology and moto styling into our products transcends into the new Speedcraft performance sunglass. Striking design aesthetics coupled with precision engineering results in a lightweight, comfortable fit that exceeds the demands of top-level athletes. The Speedcraft SL carries the same DNA and performance features as the large lens model, but utilizes a shorter lens profile and more compact nose bridge. TOPVIEW lens technology increases vertical visibility in the riding position, giving the rider a distinct advantage when cycling. Related links to "100% Speedcraft Sport Sunglasses (SL) - mirror lens - orange"
Customer evaluation for "100% Speedcraft Sport Sunglasses (SL) - mirror lens - orange"